67 left in stock, Hurry! 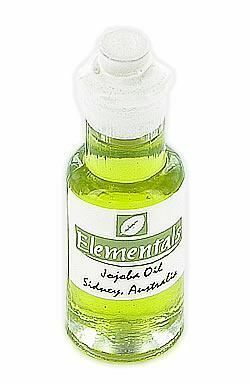 This is produced in Australia at a establishment that has been producing certified organic oil for the last 19 years. Jojoba Oil Botanical Name: Simmondsia chinensis Extraction Method: Cold Pressed Origin: North America Description: It is rich in vitamin E and is a unique liquid wax used as an oil. Furthermore, it had a stable, long-lasting penetrative nature. Jojoba has a very close chemical composition to the skins own sebum. Color: Pale yellow Aromatic Description: A Deep, Vibrant Orange Common Uses: Lubricant and hair conditioner, Jojoba closely resembles the natural moisturizing oil, sebum, that is secreted by human skin. Suitable for all skin types, beneficial for spotty and acne conditions. Due to its fine texture, Jojoba is easy to wash out and is ideal for combating dandruff and dry slaps. Consistency: Thick Absorption: Readily absorbed by all skin types. Shelf Life: Relatively long shelf life. Certification: Australian Certified Organic & NASAA Bottle - 12ml.